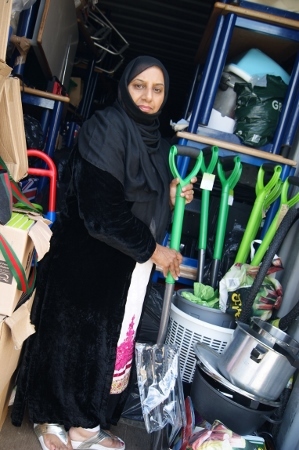 A fundraising grandmother from Bradford will be heading off on her latest charity venture later this year after filling a mammoth 40ft container with aid for those most in need. 56-year-old Razia Amini will travel to Sierra Leone in October as she aims to provide supplies to orphaned children and poverty stricken areas in the African country. After spending 10 months collecting a plethora of goods, the selfless humanitarian is ready to embark on the mission on behalf of Humanity First. “This will be my first trip to Sierra Leone,” she said. “Following the Ebola crisis and the increased levels of poverty in the country, I think help is needed there more than anywhere else. Contained within the bursting storage unit worth of supplies are 50 bicycles, 260 school chairs, 30 tables, and hundreds of camping beds. Twenty computers, all in good working condition, have also been donated to the appeal with Razia hoping to see them put to good use for a long time. “The intention is to set up a room, like we did in Gambia, where a minimum fee is charged and adults are taught basic computer skills,” she said. With a bounty-load of goods still waiting to be moved from her Heaton home to the container, there is still work to be done by the one-woman crusader. Despite funding the majority of the collections herself, Razia is now in need of support to help send the goods to Africa – a cost which will amount to £4,000. A Bradford student, who arrived in the UK as a refugee from Africa during her teenage years, has been selected to voice a BBC cartoon about the plight of other child refugees. 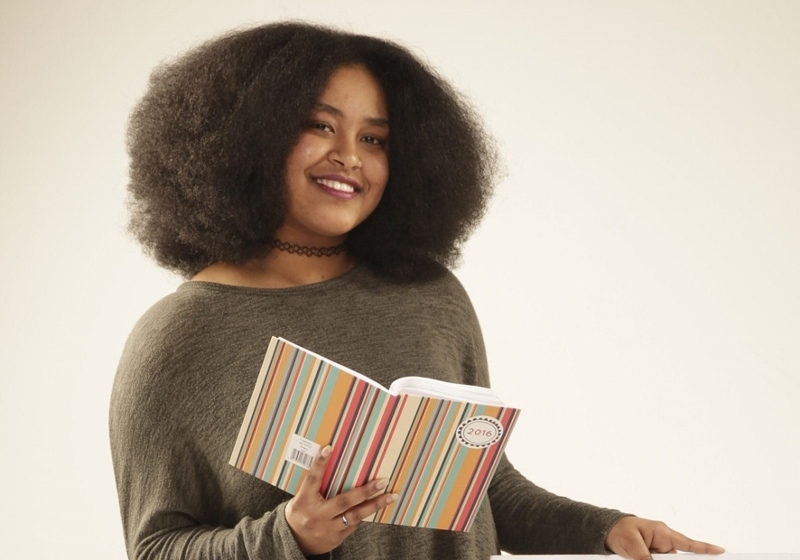 Selame Negussie, who studies at Bradford College, has narrated an animated tale of a 14-year-old girl who, after being forced to flee her home in Eritrea, made the treacherous journey to England. The short, called ‘Ruth’s Story’, was originally made for CBBC’s Newsround programme and is on the broadcaster’s website. In the story, Ruth decides she must leave Eritrea after being told she either had to marry someone she didn't know or join the military. A harrowing journey by foot, lorry, boat and train through Sudan, Libya, Italy and France saw her eventually reach England, where she now lives with a foster family. In their search for someone with an East African accent to provide the voiceover, programme makers contacted an Ethiopian restaurant in Leeds, Melkam Megeb, which is run by Selame’s family and the 21-year-old agreed to travel to Media City in Salford for the recording. Having made the move to the England from Africa - albeit in less traumatic circumstances - and having done volunteer work with refugees in Bradford, Selame was thrilled to have been chosen to help with the educational piece. “I hope that the children who watch this will become a bit more understanding when they see other children like Ruth, who didn’t speak English when she arrived in England, struggle in school,” she said. “I hope that instead of laughing at them or mocking them, they can actually help them and become friends with them. “Fortunately for me I did not go through such horrors, all thanks to God. But I do know of some people who have been through something similar. “I'm very happy that Ruth is now in a safe place and I hope that her story can be used to voice the voiceless and help put an end to the current immigration crisis. Selame joined Bradford College in 2013, after moving to the UK. Having successfully attained GCSE and AS Levels at the college she is now on a science course that she hopes will help her progress to study psychology at university. A charitable grandmother from Bradford is set to venture half way around the world later this year as she hopes to set up a sewing centre in one of Africa’s most deprived nations. 54-year-old Razia Amini, from Heaton, will head to Burkina Faso at the end of May as a representative of the Humanity First charity. Having already completed two successful trips to the Gambia in the last two years, she is once again calling on the public to help her in her quest to support some of the world’s most vulnerable families. 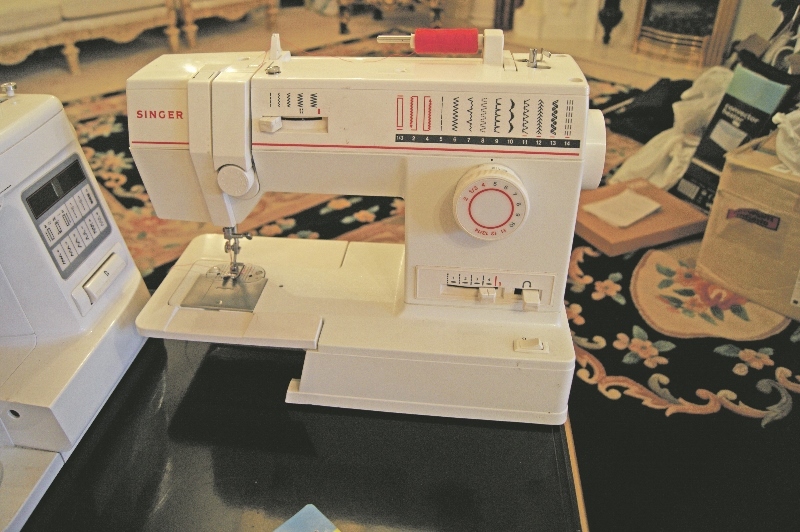 “This year I am specifically appealing for sewing machines,” she explained. “When we arrive in Burkina Faso we are hoping to set up a self-operating ‘sewing centre’. “Our initial plan is to hire one member of staff, and train her in the field before she then teaches them same skills to the group which will enable the site to run independently and self-sufficiently. Razia will spend two weeks in the country alongside one or two other representatives from the charity where they will focus their work on the sewing centre and a local school. 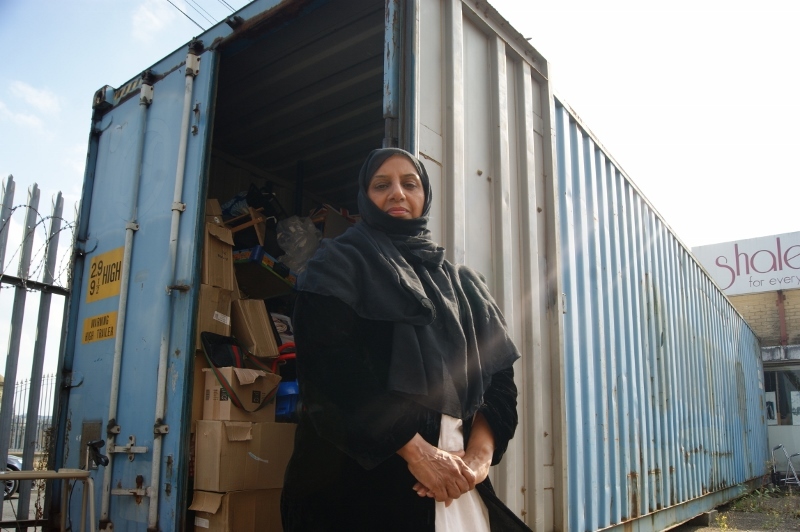 A huge container full of supplies is already being prepared to be shipped prior to Razia’s departure, which so far includes more than 40 sewing machines amongst thousands of other items. The truck-load of products will be twice the size of her previous collections, and Razia admits it will be a new experience. 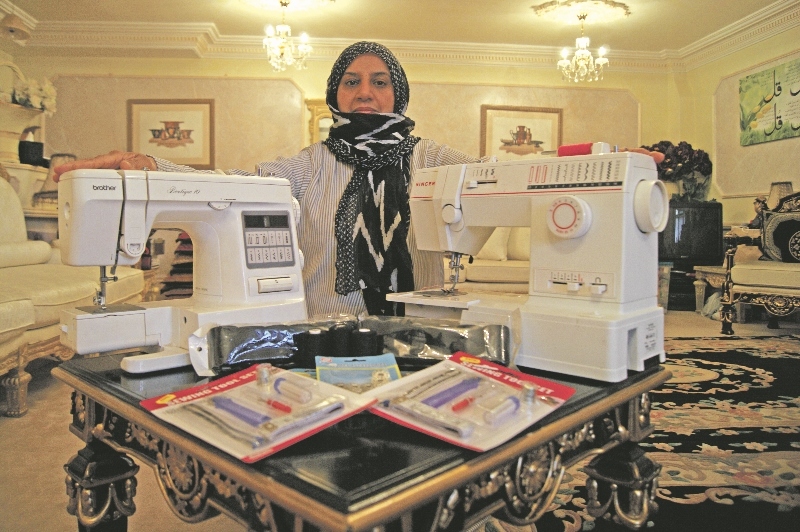 As well as the sewing machines, Razia is also appealing for other donations. “The major appeal this year is of course the sewing machines but I am also hoping to gather bikes which can help children get access to education which they previously never had,” she said. Almondbury Community School, in Huddersfield, is one educational establishment which has already got involved with the appeal, donating masses of their furniture.